Holy Scrap! 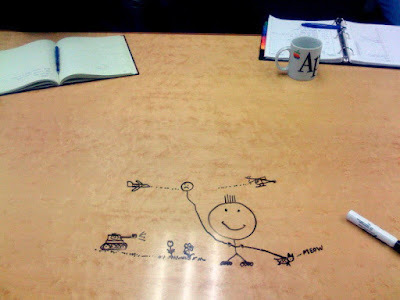 : Bored in the Board Room? This is what happens during our Lead meetings when one person, who shall remain nameless (cough. . Grant), sits within reach of the dry erase marker. This picture was drawn over the course of an hour. . . one small section at a time.